It’s kind of funny that Akira Kurosawa didn’t like Stray Dog, but we’ll get to that in a moment. Before the director would make a name for himself internationally with Rashomon a year later, Kurosawa was finding his voice. He was already a talented filmmaker by this point; his 1942 directorial debut Sanshiro Sugata was successful within Japan, despite the censors at the time having a lot to say about it. In 1948, he would land Drunken Angel, one of his most highly regarded early works. 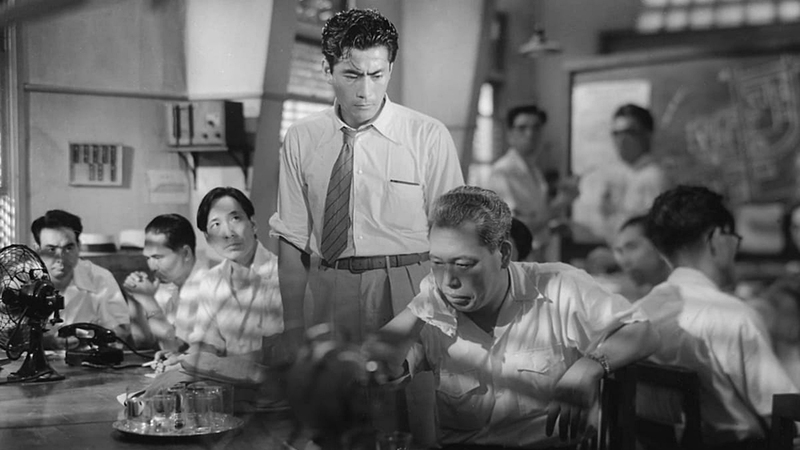 Not only would the film be celebrated within Japan upon release – going so far as to be named the best film of the year by Japan’s prestigious film magazine Kinema Junpo – but the film would mark the beginning of a decades long partnership between Kurosawa and Toshiro Mifune, a young and relatively unknown actor at the time. The film would showcase Kurosawa’s meticulous eye for the gritty realism of post-war Japan, and the struggles of everyday men and women trying to get by in a country viewed internationally at the time as ‘the bad guys’. This eye for realism would follow him to his next film, Stray Dog, a film of many genres. 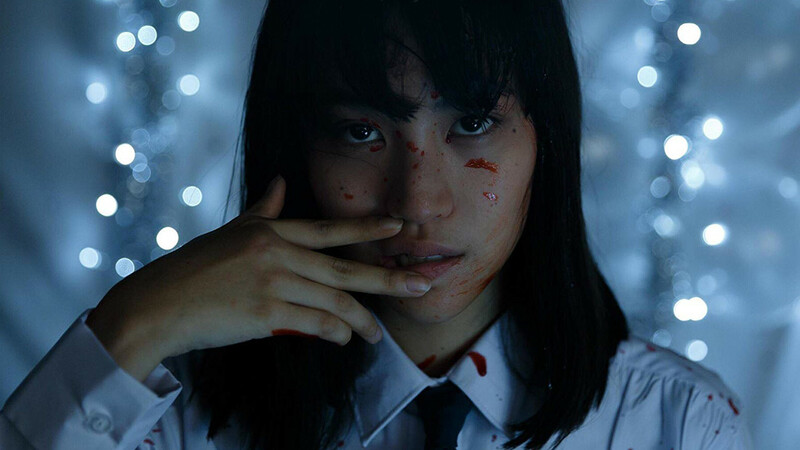 A police procedural, film noir and social critique on post-war Japan, Stray Dog wears many hats, and wears them all very well. But if beauty is in the eye of the beholder then Kurosawa had turned a blind eye to his work, as disappointment arose within him. Little did he know, he would end up making one of the best, if not the best, detective films ever made, as the film transcended the traditional framework of the detective genre and went straight for the emotional core of good men on the verge of going over the edge. 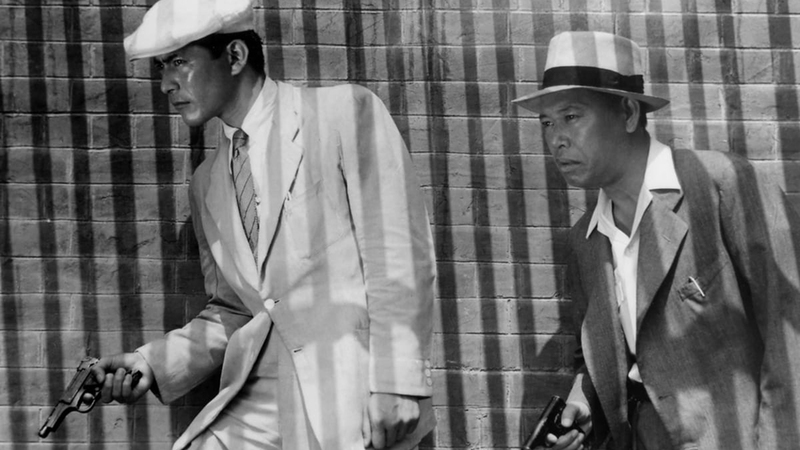 The sweltering heat of Tokyo helped make Kurosawa’s feverish noir tale a uniquely distinct setting. The final product would carry many of the elements of Simenon and film noir, in particular The Naked City by Jules Dassin, a film Kurosawa cited also as an inspiration. But while Stray Dog carried many of these traits, the film carved out its own unique path in the genre, enough to be considered as more than just an imitation. As it turned out, the very things that made Stray Dog stand out by comparison, are the reasons Kurosawa saw it as a failure. 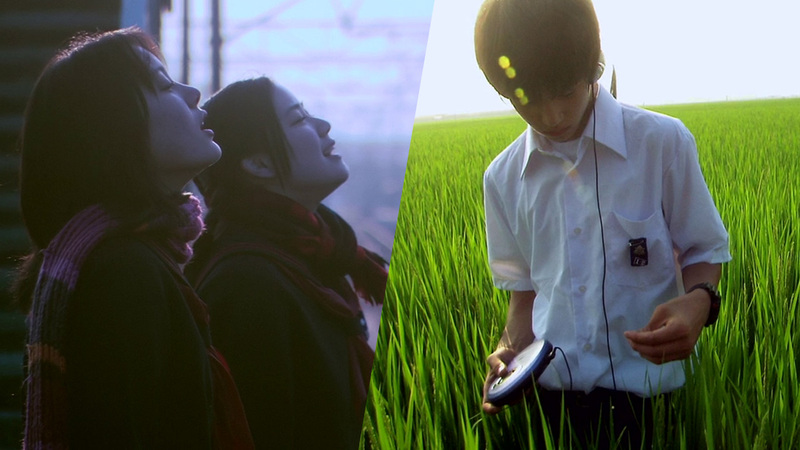 One of the most central and important differences between Stray Dog and all the other films within the genre simply comes from its location playing a major role. Kurosawa frames post-war Tokyo as crowded, filled with people piled on top of each together. Even worse, it’s hot. No scene exemplifies this better than the opening scene with Murakami on a crowded bus, sweat dripping down not only his face, but also the faces of everyone on the bus. The narration only serves to hammer this in, stating, “Murakami was beat. And then there was that awful heat. On the bus, the air was so thick, he felt woozy. A wailing infant shook with tears, and the woman beside him reeked with the stink of cheap perfume.” Murakami tries desperately to untighten his collar, attempting to get enough air. Or take the scenes when Murakami goes through the black markets disguised as an everyday man in desperate search, as are many of the people he encounters. People in search of some food, work, a place to sleep — something to do. People sat next to fires at night, sharing cigarettes, or bundled up in one room to get out of the rain. Under the helm of any other director, these sequences would appear false and exploitative in their attempt to show light to those existing in the margins. But Kurosawa is unlike other filmmakers as he renders these scenes with great honesty and cares not to vilify them. Filmed in a cinéma verité style, this segment of the film goes on for a great deal of time, but every moment is vital not only to our understanding of Tokyo at the time, but to understand who might want a stolen pistol. Eventually, when Murakami does meet a scout who asks him if he needs a gun, he naturally asks how much for it. The scout scoffs. “You’re broke so drop the cool act,” and then tells him what the real price is: “Your rice card.” Food in exchange for a weapon; it’s the kind of social commentary Sherlock Holmes or Maigret wouldn’t be bothered with. Since those characters come from a place of privilege and high class, it’s refreshing to see a cop film where everyone is seemingly on the same baseline, which helps Stray Dog’s case as being a film far more interested in treating its characters as humans and not as carries of plot. That’s not to say that every scene is brimming with post-war imagery and a history of a painful transition. Just as there are many scenes of the negative effects of this war, there are scenes of the country coming together to enjoy life and move forward with their lives as best they can. One scene that’s beautifully shot and orchestrated features a baseball stadium filled with people out enjoying the game. It’s a packed stadium, a sea of white hats, and ironically, our heroes are there to find one person. Another has a large crowd of people watching showgirls perform a routine. There’s even a moment where Murakami and Sato settle down for a meal and drinks, and one of the few instances where we see Murakami crack a smile. The truth is, whether Kurosawa intended for this or not, it’s hard not to draw parallels to the war and this particular premise. World War II’s effect on Tokyo is widespread and can be seen in virtually every shot of this movie, and the idea that a weapon meant to be used for good, is instead being used to cause havoc, only serves to strengthen this parallel. But can any weapon be used for good, or is it simply a matter of making sure it doesn’t land in the wrong hands? 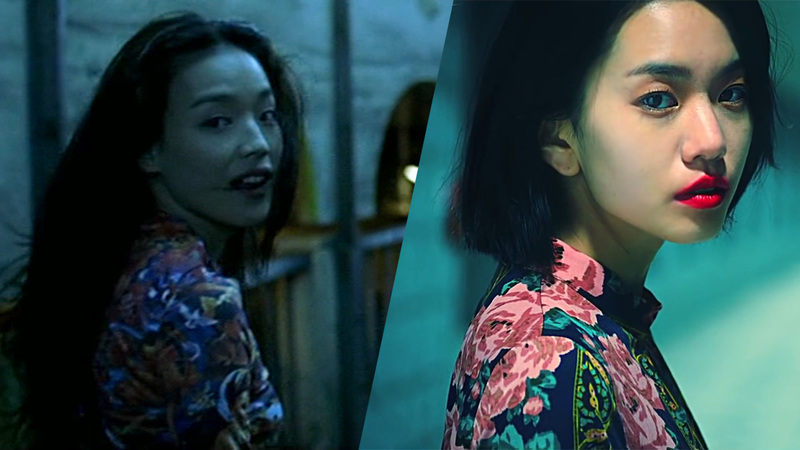 In my mind, Kurosawa chooses the latter. During the scene when Sato and Murakami have dinner together, Murakami mentions he can’t help but feel bad for our perpetrator. Sato, in an attempt to dissuade his partner from thinking such a way mentions, “There’s no help for a cop who doesn’t believe he’s protecting the masses.” But Murakami—and by proxy Kurosawa—is saying that anyone could have easily taken that path after the war, and because of that, Murakami and the viewer can identify with who he’s chasing after. 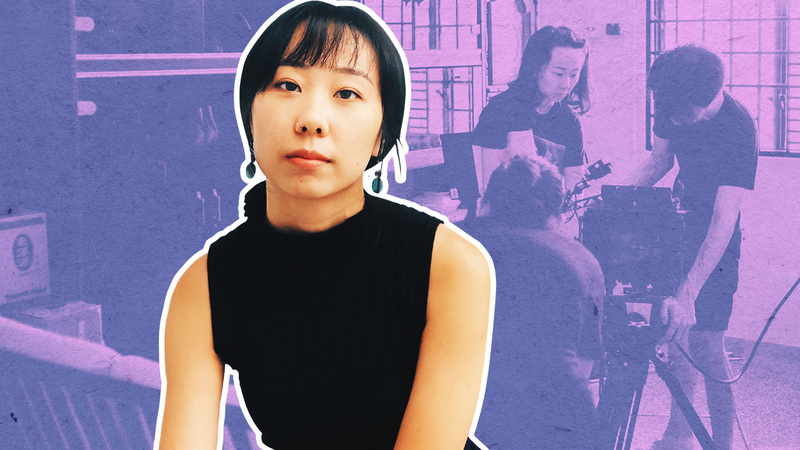 We learn even more when Murakami and Sato stumble upon a discarded note that gives us insight on our antagonist; “I hear that alley cat crying over the rain… the one who followed me through the storm. It’s only going to suffer and die. Better to kill it once and for all. I still remember how it felt when I crushed it with my foot. I’m a coward. Just like that rain drenched cat. What’s the point…?”. The sound of a cat meowing underneath the narration makes it much more chilling. On the hunt: Toshiro Mifune and Takashi Shimura would go on to star in many of Akira Kurosawa’s films after ‘Stray Dog’. It’s moments like these that give Stray Dog considerable distance from any film noir, detective story, or cop movie in its immediate vicinity. 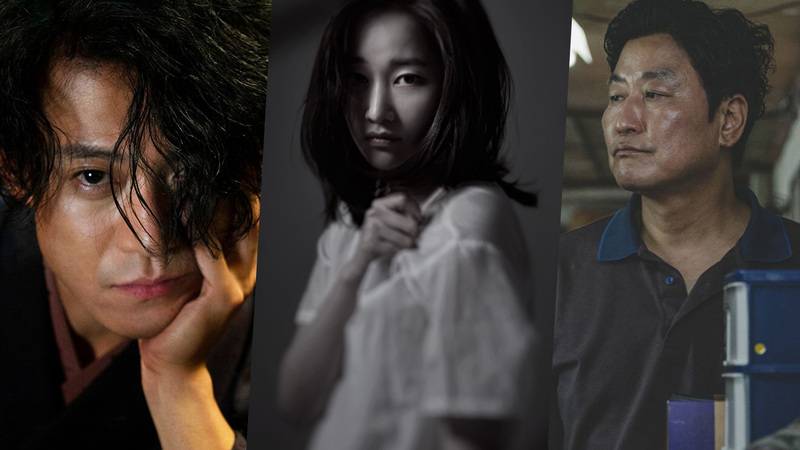 There’s a level of genuine human understanding at work here that’s paired with a rare level of care; the kind of care that we’d see in contemporary films like Denis Villeneuve’s Prisoners, Bong Joon-ho’s Memories of Murder, or David Fincher’s Zodiac. But let’s backtrack a bit. There’s an important question that looms over Stray Dog that is never directly asked: why is a stolen gun so important anyway? Every character who hears about it mentions it’s just bad luck, that he’s such a rookie for letting it happen, and to not worry so much. Crime will still exist with or without his gun being stolen. All his older superiors take a much more calm approach to it, whereas Murakami feverishly and desperately seeks out his gun. His determination only heightens when he finds out an assault and robbery occurred with a victim being shot in the elbow with his gun, and immediately places himself on the case. Kurosawa slips in more of his distinct brand of social commentary as Sato describes the perpetrator, “A colt, which he clutched in his left hand. A hand that was shaking like a leaf, because he panicked and shot if off for no reason. Just your typical case of an amateur running amok…”And as Murakami processes this standing under looming storm clouds, he states, “I fear something worse will happen.” His intuition, unfortunately, is correct, as our amateur has graduated from assault to murder of a housewife. “All for a measly 50,000 yen,” yells a grief stricken husband, as Murakami looks on. At this very moment, Murakami is faced with the very thing he feared the most; that his mistake would cost someone their life. Transitioning from regret, disgust, to guilt, Murakami’s once feverish attitude — for a moment — disappears. All that’s left is a man lost in a fog. If Kurosawa’s talent as a director made Stray Dog a great film, it’s Mifune’s equally measured talent as the rookie detective Murakami that makes Stray Dog perfect. In truth, there is no Stray Dog without Mifune, and one would be hard pressed to find anyone that could give an equal performance. Despite this being one of the early roles in his partnership with Kurosawa, the two would be a ways away before filming some of their more famous work as a duo, like Yojimbo in 1961. Even then, one wouldn’t have to go searching too far into the future to see their partnership was brimming with potential. Rashomon, the international sensation would be right around the corner, and Seven Samurai not too far off. 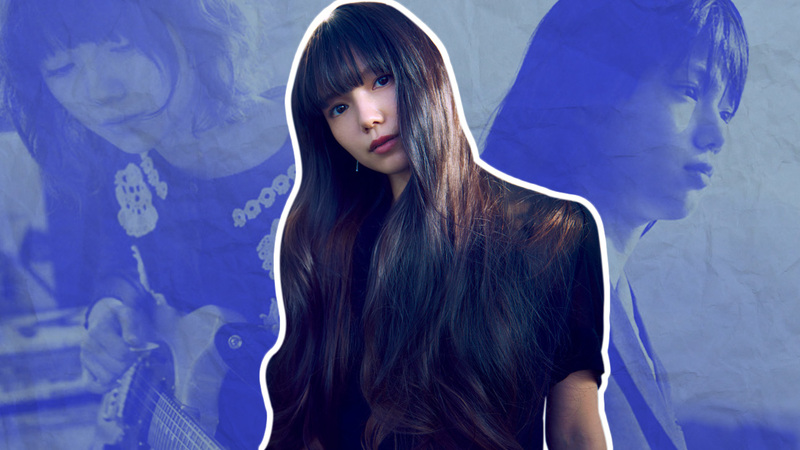 Hell, even Drunken Angel is widely considered a major talking point in their careers by virtue of it being their first collaboration. But if Drunken Angel saw the pair setting up the pass, and Rashomon being the winning goal, it would be Stray Dog that served the perfect strike. 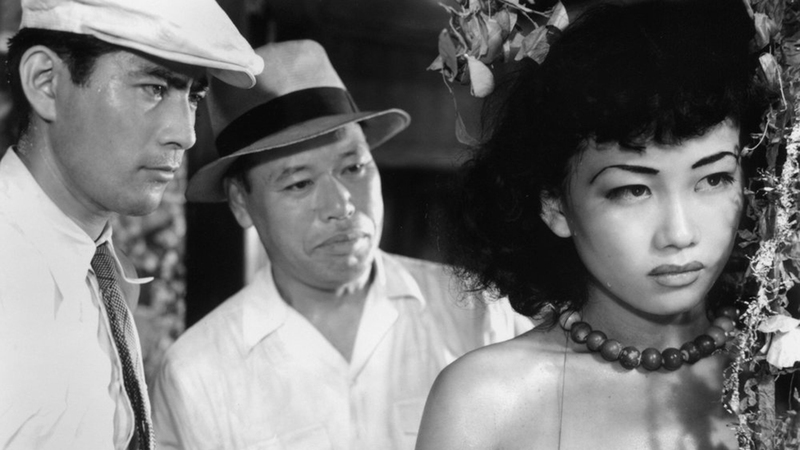 For all the praise thrown at Mifune’s high-wire performance, it wouldn’t work without Takashi Shimura’s cool headed Sato giving guidance on the case, Keiko Awaji’s childish and streetwise dancer, Harumi Namiki acting as a quasi-femme fatale, and Gen Shimizu as the stern but fair police inspector Nakajima giving our hero perspective. These characters don’t feel hard-boiled or bound to the fantastical mind of a pulp writer, they’re vulnerable; capable of human error, mistakes, and bound by human nature. Kurosawa would not make the detective story he initially envisioned and it turns out that was okay. Stray Dog works on far more levels than his inspiration ever could and its ambition and raw heart would serve an important place within the genre. While Rashomon would come a year later and introduce a whole new level of fame and recognition for Kurosawa and Mifune, Stray Dog’s human portrait of people fighting desperately to do the right thing would still remain. 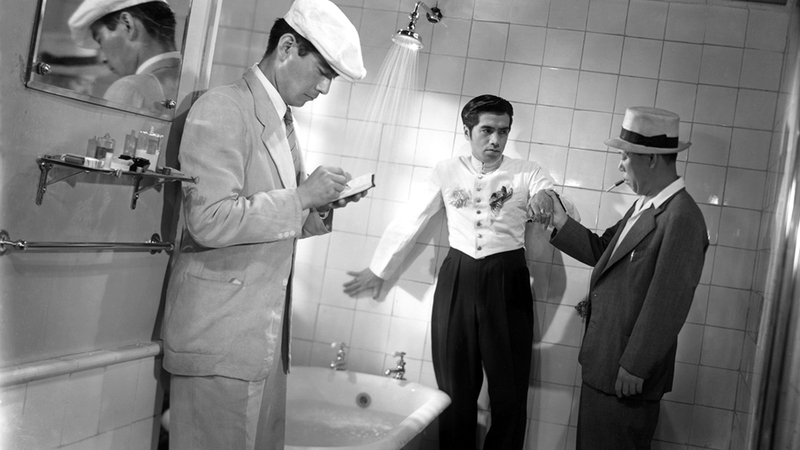 Despite Kurosawa’s initial feelings, even he can’t deny that the shoot was a good memory. Sometimes our failures yield great results. Stray Dog happens to be one of them.